Listed here are a collection of articles at iPupster on the subject of canine nutrition. These will arm you with the knowledge needed to give your pup the best nutrition. 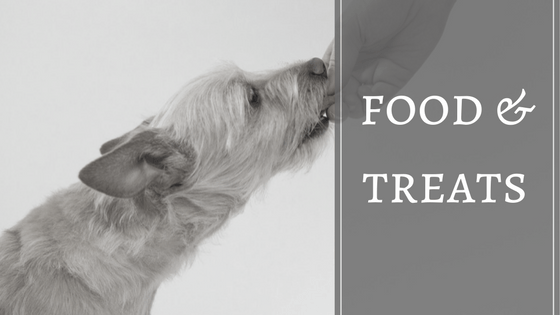 Everyone has an opinion on what foods to feed dogs with, it’s becoming a very contentious topic among dog parents and rightly so since we want what’s best for our pets. Dogs are family members and whatever quality of foods you feed yourself with and your loved ones, you apply the same logic. Quality foods breeds healthier and happier dogs. With today's statistics on dog health, you can easily see the effects of poor quality dogs diet. Over 45% of all dogs now die of cancer. Dog heart, liver and kidney disease are at an epidemic level. 40% of dogs are now obese. These are just a few of the potential health threats your dog faces with poor quality dogs diet. The next few articles discusses breed-specific dog foods and their nutritional and caloric requirement in order to maintain a balanced diet and optimal weight as well as our recommendations and of the course the reasons why! Dog food labeling and regulation requirements may not be at the top of your priority list but they are absolutely a top priority in ensuring that what your dog is eating is safe and that the dog food contains the required nutritional ingredients. Unfortunately without rules and regulations to monitor the manufacturing and to ensure that the dog food is labeled accurately, your dog could and would be eating anything. If a dog food product acquires the AAFCO Nutritional Adequacy Statement, it has met the Nutritional Profile based on the lab testing or it successfully completed and passed a feeding trial on live dogs. AAFCO require that all commercial dog food obtain the AAFCO Nutritional Adequacy Statement in order for them to utilize the term “complete and balanced” on their packaging. Their labeling rules do not take into account nutritional needs based on different dog needs. Obviously there will be different needs between a Border Collie that's working cattle and a small toy poodle that spends their days in the house being pampered. The point is that an AAFCO Nutrient Profile only gives an average standard for the dog food manufacturers to shoot for, so if they put the same average amount of protein, vitamins, minerals, fat etc. in each dog food, then how can that possibly be the best quality for your dog and your neighbor's dog and his neighbor's dog? Because each dog is unique and has different requirements in everything from how old they are, how big or how small they are, their breed and heredity, individual health issues, are they a couch dog or a working dog and of course for those pampered pooches you must consider their personal palette preferences. Caring for your dog from puppy to senior is an educational process. During each stage there are nutritional requirements that need to be met so your dog will be healthy and have the wonderful life every dog deserves! As dogs age their metabolism slows down. Sound familiar? Older dogs require special diets. Veterinarians suggest a diet high in fiber and complex carbohydrates and low in fat for dogs who don't engage in an active lifestyle. Many older dogs and large breed dogs like a Labrador Retriever, Golden Setter, Irish Setter and Great Dane suffer from arthritis. Arthritis symptoms could rise with age or develop the stiffness and joint paid during old age. Overweight dogs need to be on a special diet. If a dog is eating table scraps too, and not getting enough exercise they will become overweight. This happens frequently when a dog is in a crate during the day and then spoiled all evening with love and food. There are now specific diets recommended based on your dog's level of health. Our human diet isn't healthy for dogs and can be a factor in their weight gain. Table scraps are one of the major causes of obesity in dogs. In this next article I discuss how dogs are affected by common human foods, so you’ll be aware of which to avoid and which to feed. Can I Give M﻿y Dog ﻿Bananas? Can Dogs Eat Ice Cream and How ﻿﻿ We Can Make ﻿it ﻿Safe for them? The old antidote, “You are what you eat” is very true. When we eat balanced diets, including healthy snacks we feel great! The same is true for your dog. Every dog loves their treats. The most important word to remember when thinking about healthy dog food or healthy dog treats is natural. Natural dog treats are healthy dog treats that keep our dogs happy. This instructional video with just a few minutes in length provides a detailed look into what are some of the safe treats and downright dangerous treats to watch out for your dog. If you would like me to cover other nutrition-related topics, please do so by getting in touch with me through here. All suggestions are welcome since we would like for this site to be a comprehensive and useful guide to puppy ownership. The DogFoodAdvisor website is possibly the largest and most trusted resource on dog food reviews. It contains a vast amount of information on all commercial dog foods (dry, wet and raw) and I highly recommend you visit and check it out: www.dogfoodadvisor.com Food Brands A to Z. Is Rottweiler Insurance Cover Worth The Cost? Pet Insurance for Great Danes: Is it Worth it? In Search for the Best Affordable Australian Shepherd Insurance?